Treehouse is a not for profit community organisation, staffed and managed by local people, committed to providing early intervention services to children with additional needs and their families. 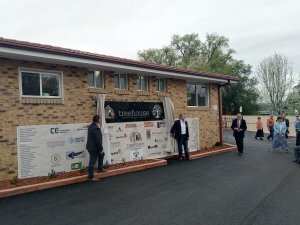 This year the passionate Queanbeyan community, including many local and ACT companies, have rallied together to finance, design and construct a new building for Treehouse. 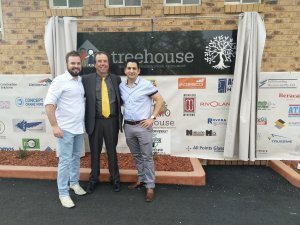 Aaron Hazelton, James Koroday and Mario Galvez have been busy working on the Structural design for the new community facility and last Saturday 22nd September 2018 Aaron and James (proud Queanbeyan locals) joined Queanbeyan Mayor Tim Overall and Deputy NSW Premier John Barilaro to mark the official opening of the new facility. 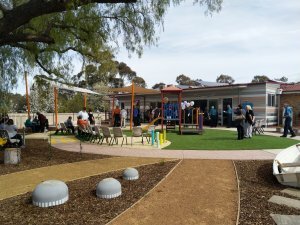 Well done to everyone involved in the project, an excellent example of what can be achieved when a community rallies together!